There are several calendars that are available online which can also be printed easily. Monthly Calendar Samples with several new and exciting themes are available for download. You can choose from a variety of designs, color schemes and themes for calendars. You have the option to print them from the web directly, or you can download it. You can also add notes and customize it the way you like before you print it. 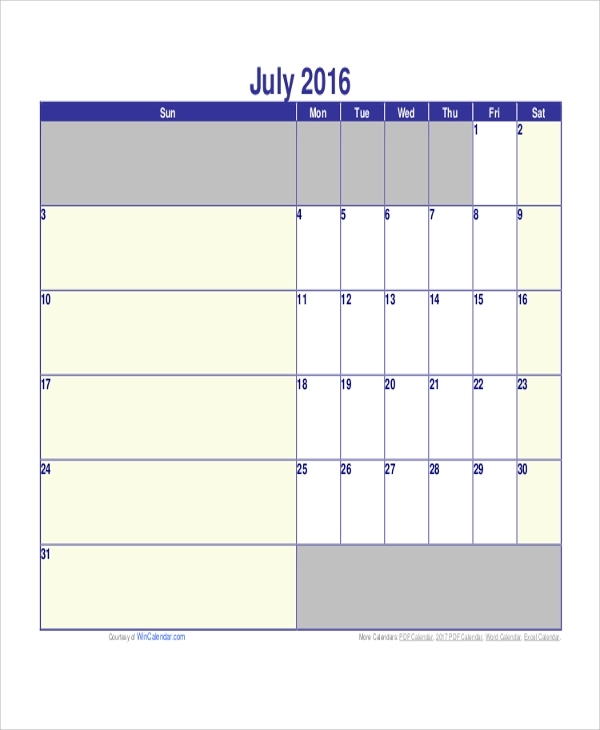 A monthly calendar with holidays can be printed easily from several websites online. It is available for free download where all months of the year including the holidays will be available to be printed. 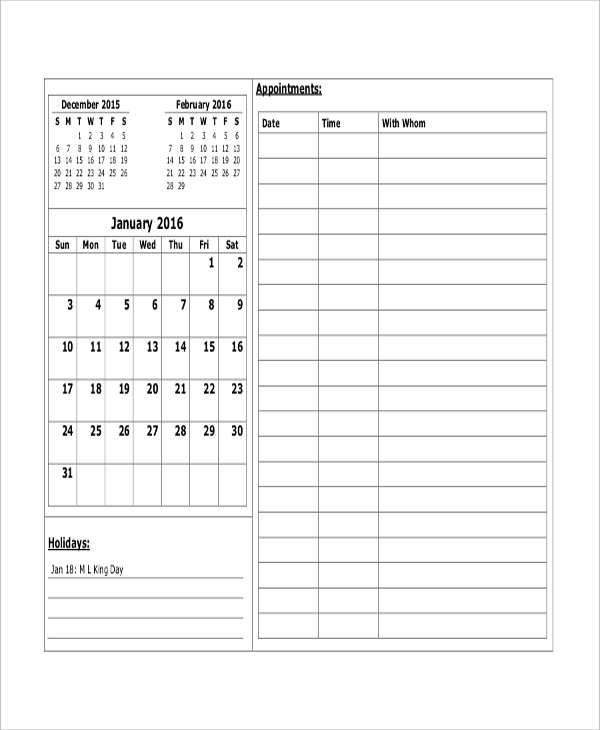 The monthly appointment calendar is also available for download to be printed. It consists of all the 12 months of the year which includes the holidays as well. It also has a section for notes and other important event markings. 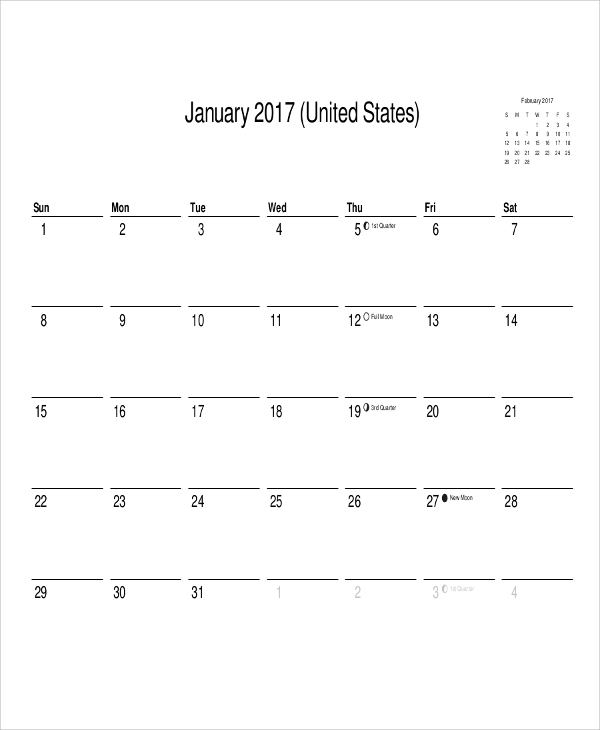 This is a Blank Monthly Calendar where no holidays or other important events are specified. You can directly get the calendar printed either from the web, or you can download its copy and get it printed. A calendar is used for multiple purposes. It may be used in offices, organizations, institutions and even inside houses. Many people like to maintain an individual calendar for marking their significant events and upcoming appointments. Well, now you don’t have to look into stores for getting a calendar. You can simply get it online from the web and print it off. You can also download it from many websites that offer free customized calendars. You may also see the Free Printable Calendars. 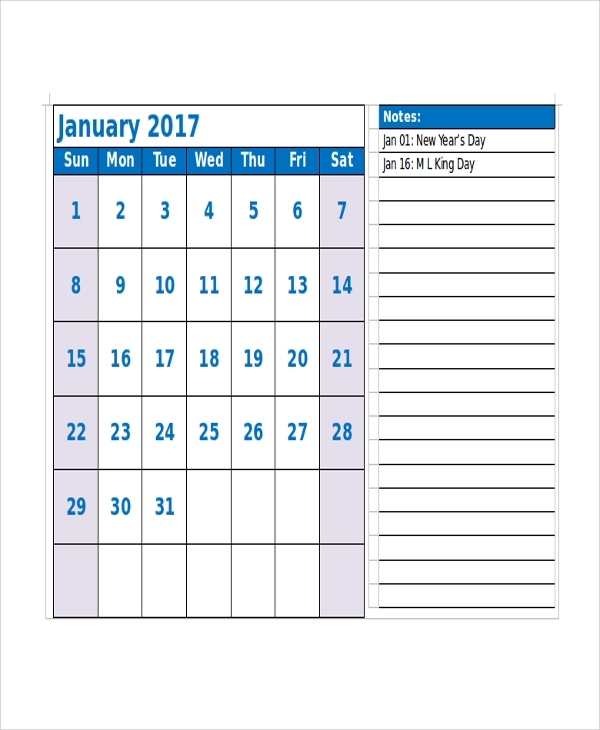 You can download the printable Monthly Calendar which is available with the notes. You can add notes and also customize it as per your requirement. You can add in any important notes in the notes section. The Printable Monthly Calendar is also available in the landscape design. If you do not like the portrait design, you can choose the landscape calendar. It allows you to change the pattern of your calendar which will be the same even after you print it. Why Do You Need to Maintain the Printed Calendars? Calendars are important because they remind people of any significant events that arise in the course of time. When they are hung on the walls, it is easy to remember and mark the date on which any event is going to take place. Nowadays people are not commonly using calendars because of the increasing usage of mobiles and other electronic gadgets. But a traditional printed calendar can even today be very useful and serve the purpose of many people. 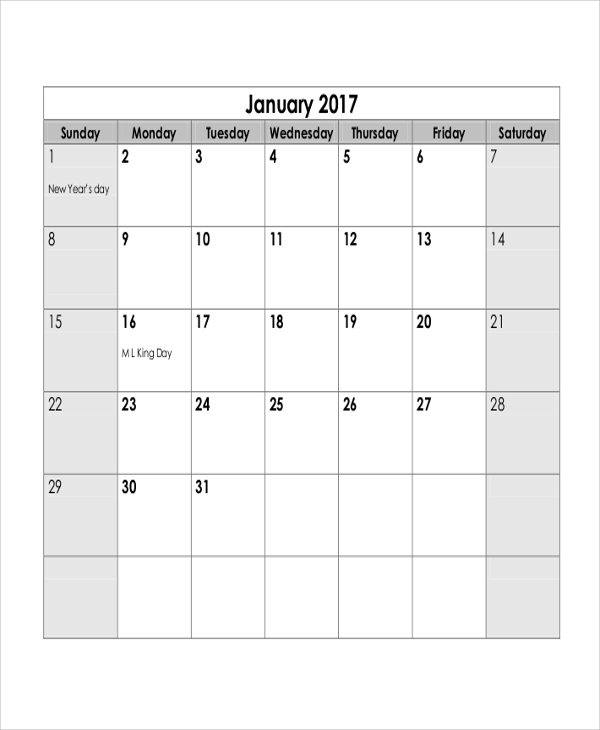 Calendars are very convenient and handy for maintaining schedules and important dates for upcoming events. 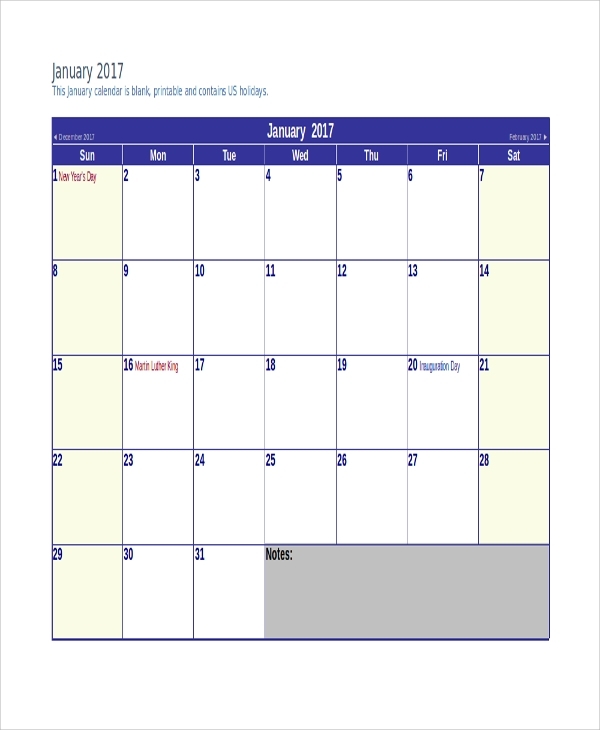 You can download a Calendar Samples from the web or print it straight away. 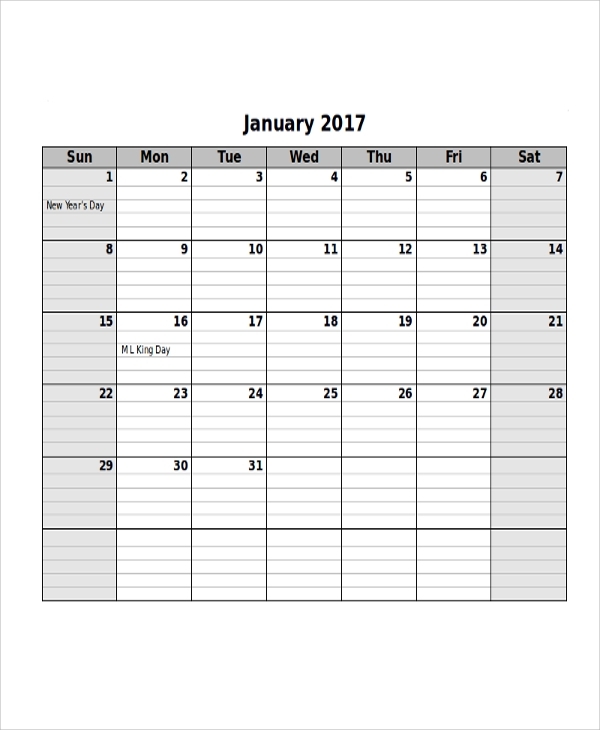 Several websites offer calendars where you can choose the color, design, and other specifications. You can also customize it as per your preference by adding a notes section and other essentials.